Simon The Fox Sculpture Garden Statue. 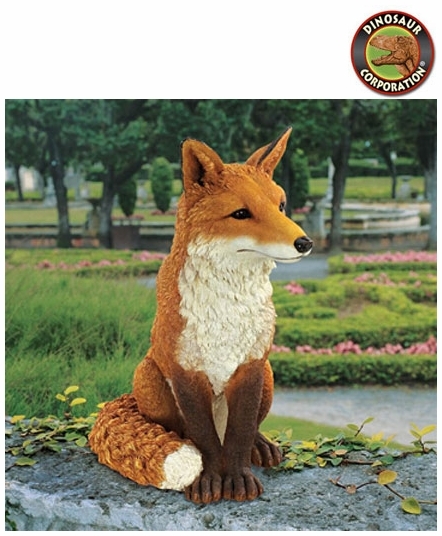 At a foot-and-a-half tall, our statue is cast in quality designer resin and authentically hand-painted with characteristic markings including lush red fur and a bushy, white-tipped tail. * Size: 10" W x 17" D x 18" H.